Dealing with unwanted fat deposits and unsightly bulges is nothing new. The way that people are addressing this issue is. Instead of turning to starvation diets and hours of exercise to reshape their bodies, people are turning to modern methods based in science and proven to work. Today’s scientific advances allow providers to remove stubborn fat cells, helping patients achieve the body silhouette they desire through a process known as CoolSculpting. Here is a simple guide to help you understand more about the amazing process of CoolSculpting and the benefits it provides in reshaping your contours. What is the difference between CoolSculpting and Liposuction? CoolSculpting is a non-invasive procedure for fat elimination. It uses the scientific principle of cryolypolisis to freeze fat cells by cooling them significantly during a controlled procedure. CoolSculpting is the recommended treatment for smaller pockets of fat since it is highly successful in targeting narrow areas of the body with fat cells that are highly resistant to dieting and exercise. Liposuction is a form of invasive plastic surgery designed to eliminate large areas of fatty fullness by removing them physically. As such, it is often a good option for patients looking to create major changes to their body image. CoolSculpting and Liposuction differ in many aspects, including cost, treatment effectiveness, procedure duration, side effects, and recovery time. One of the major differences between these two procedures is the type of training required to perform the procedure – a factor that also determines who is permitted to do so. Why is CoolSculpting better than ever? The science behind CoolSculpting dates back to 2008 when Rox Anderson and Dieter Manstein invented the procedure. Clinical trials gradually progressed until the FDA approved it as a treatment for use on the flanks in 2010 and the stomach in 2012. 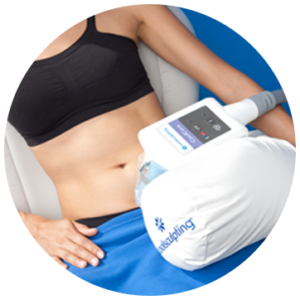 Newer devices and treatment areas continue to receive FDA approval, greatly enhancing the benefits offered by CoolSculpting. Today, it is used to reduce fat pockets on numerous areas of the body, enabling slimmer physiques and improved confidence for many patients. As technology improves, so do the applicators and treatment strategies used during this process. The newest CoolAdvantage and CoolAdvantage Plus applicators offer improved features that cut treatment time nearly 50%, while continuing to deliver the highest level of safety and comfort to patients. This difference in treatment time is credited to the new cup-shape design and a change in the temperature setting. The results of clinical studies show that patients report enhanced levels of comfort with newer designs of applicators, greatly improving the entire experience during and after the procedure. Older applicators feature two freeze plates inside the hand piece. The newer models have shallower tips and wider cavities, allowing the entire applicator to work on freezing the area rather than only using the side panels as the earlier models did. They deliver better surface contact, and less suction needs to be applied avoiding the sensation of pinching, so the procedure is more comfortable for the patient. The temperature produced by the applicator is actually 1 degree Celsius cooler than the current models, allowing the shorter duration in treatment time. The new designs also accommodate larger surface areas, greatly reducing the time needed to complete the treatment. Since the treatment time is reduced to approximately 35 minutes instead of a full hour, less bruising and less delayed onset pain are experienced. 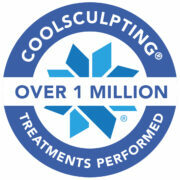 For specials and to sign up for a free consultation go to our page CoolSculpting in San Diego or just call us. With the newer applicators, providers are able to better predict the treatment surface area to deliver enhanced results and patient outcomes while avoiding suboptimal results. In some cases, the original applicators are still used, especially if the patient has loose rolls of fat and folds of skin that are easily lifted. Since 2017, several models of applicators are now available including the CoolPetite Advantage, CoolFit Advantage, CoolCore Advantage, CoolCurve+ Advantage, CoolCurve Advantage Plus, CoolCore Advantage Plus, and the CoolMini. Each applicator is designed for ultimate fat reduction and styled to perform best on specific areas of the body. The unique styling of each applicator promotes ease of use in targeting fat cells, either covering more surface area, targeting smaller areas, or a combination of both. This highly defined process leads to a reduction in treatment time and better comfort for the patient. Smaller applicators take slightly longer to complete the task, so procedures involving their use often take a few minutes longer to complete. The new treatment applicators at Ageless and Beautiful are designed for greater patient comfort during treatment. The results achieved are at least the same if not better than previously achieved. Studies show the newer applicators are just as effective as earlier models, while creating fewer bruises, treating increased surface area, and producing less bruising. Our dedicated skilled staff has years of experience in body contouring. Cryolipolysis is the scientific principle behind the discovery of CoolSculpting. Sometimes, these two words are used interchangeably to name the process in which fat cells are frozen in order to destroy them and eliminate them from the body. The procedure lowers the temperature of the treatment area enough to cause apoptosis or slow cell death. Once the fat cells undergo freezing they break down naturally and are eliminated through the normal functioning of the liver. The surrounding tissues of the body are not harmed, because the temperature must be considerably lower than that needed to freeze fat cells before damage occurs. Coolsculpting results? What to expect. It is important not to get your hopes up when you go through the CoolSculpting process, because the results achieved are not immediate. You won’t notice any visible changes that day, the next day, or even within a week. It takes time for your body to eliminate the fat cells that have been frozen and destroyed. It only takes about two weeks for the treated cells to die, but it takes three to six months for the liver to completely flush them out. As the dead cells move to the liver for processing and elimination, the treated area gradually becomes slimmer and more sculpted. Most patients begin to notice small changes in as little as three weeks, but more dramatic results don’t fully appear until eight to twelve weeks. The full result typically takes four to six months. Our office often recommends that patients schedule 2-3 appointments with us in order to achieve optimal results for their goals. For example, sculpting your silhouette for your upcoming nuptials requires a 3 to 4 month lead time, while getting your body ready for summer requires beginning your CoolSculpting treatment in the spring. The results produced by cryolipolysis are permanent. When the fat cells are frozen during the procedure, they begin to die, winding up in the liver where they are naturally processed and eliminated from the body forever. Browse through our selection of before-and-after photos to see the positive results patients achieved through the CoolSculpting process. Individual results vary, but these images can help you get a sense of the possibilities of using CoolSculpting to fine tune your physique. What areas of the body can CoolSculpting treat? Currently, in the United States, the CoolSculpting process is FDA-cleared for fat-removal procedures on multiple locations of the body. 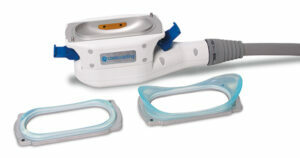 CoolSculpting delivers successful results in eliminating cellulite. It can be used to reduce visible fat pockets on the abdomen, outer thighs, inner thighs, upper arms, lower stomach, buttocks, flank, back, and submental area. Trained professionals use this procedure to target individual pockets of fat in specific areas. Some of the common areas of concern for which CoolSculpting is requested include the love handles, muffin tops, double chins, and banana rolls. When fat develops on the flanks, it is commonly referred to as a person’s love handles or muffin top. When fat develops in the area directly beneath the buttocks, it is often referred to as a person’s banana roll. The area directly beneath the chin is the submental area, which is more often referred to as a double chin. Other popular areas for this procedure include the upper back where fat develops just below the bra-strap line as well as the fat deposits occurring in the lower portion of the back alongside the flanks. Reducing fatty fullness in the abdomen, outer thighs, inner thighs, upper arms, lower stomach, and buttocks also continues to be popular. Can there be any side effects or risks with CoolSculpting? CoolSculpting is a safe procedure. Most of the side effects associated with CoolSculpting are temporary. In many cases, the severity of these symptoms depends on the patient’s tolerance for pain and discomfort as well as the extent of the procedure. Some patients may not even experience any side effects whatsoever, particularly if the treatment is extremely small in scope. Studies suggest that the coldness of the temperatures used during treatment are responsible for any side effects that are experienced. The most common side effect is feeling as though something is tugging at your skin while the targeted area is held in between the cooling panels. This sensation stops upon completion of the CoolSculpting procedure. Other side effects commonly develop shortly after the procedure has been completed. They include the sensation of stinging or pain at the location of the treatment site. Achiness may also develop. Research shows that these side effects usually stop approximately three days to two weeks after the procedure’s completion. Patients may also develop minor bruising, swelling, or redness for a few weeks. Skin sensitivity may also arise and continue for one to three weeks. Typically, this procedure occurs without incident as it is noninvasive in nature. However, a small percentage of patients may actually experience the reverse of the intended result. Rather than shrinking, the fat cells grow in size. This condition is not dangerous and does not require surgery. It does not go away on its on, and it does require additional treatment to eliminate the fat cells. This condition is known as paradoxical adipose hyperplasia. Does the treatment need to be performed by a doctor or surgeon? Technically, neither a surgeon nor a doctor is needed to perform the CoolSculpting procedure. However, for the best results and the fewest side effects, it is best to choose a provider not only with the training needed but also with the experience to fully understand the process. Our providers at Ageless and Beautiful have undertaken extensive training in the CoolSculpting procedure, giving them the knowledge needed to propose the best possible treatment plan for each patient’s individual goals. What to do after your treatment? Post care. Since CoolSculpting is a non-invasive, non-surgical procedure, patients typically return to normal activities the same day. Discomfort is generally minimal and easily managed with over-the-counter medication. Some patients do not even feel the need to take any pain medication. Although you won’t need to change your daily routine, it is often recommended that you embrace a healthy lifestyle to optimize your results. You do not need to change your exercise habits or modify your diet in order to heal properly and see the benefits achieved through CoolSculpting. You won’t need to take medication or supplements in order to heal. Simply continue taking care of your body’s needs to promote proper healing. Our office often recommends that patients schedule follow-up appointments with us to fully evaluate their results. At that time, additional treatments for other areas of the body can be discussed as well as whether or not you wish to retreat the same area for an even slimmer look. What is the cost of CoolSculpting? Several factors determine the cost of CoolSculpting, including the number of CoolSculpting cycles needed to achieve the desired results, the area undergoing treatment, and the location of the procedure. Detailed costs will be presented in the next blog. Please contact our office to arrange a free consultation and to receive an estimate of what it would cost for your CoolSculpting treatment.